I regularly migrate to Nigeria only to provide food for my family. I am forced to leave. Harvests are meagre and do not yield enough in the long term. They are used up within three months. It’s late November, and in south-east Niger the dry season has just begun. The women and men of a village near the town of Matameye, in the Zinder region, have just finished harvesting and are now busy threshing, winnowing and milling the cereals after months of labour in the fields. It’s been a good year: the granaries have been filled to the brim with sorghum and black-eyed peas, the roofs of the village’s mud and thatch houses have been stacked with pearl millets in bundles. These cereals and vegetables are the villagers’ daily food – the sorghum and millets often prepared in a soup with water or milk, the peas (or niébés) eaten with rice or, exceptionally, with meat; what remains of the harvests’ straws will be used to get the livestock (ox, sheep and goats) through the dry season. 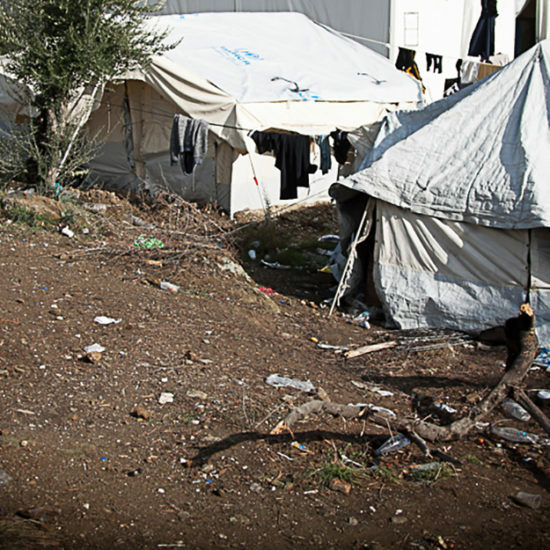 Yet, as it happens every year, people are once again preparing to leave their village. In an area where land is naturally productive only for about half of the year, and where recurring droughts have generally preceded devastating famine, seasonal or circular migration has traditionally been an important survival coping strategy. Over the last few decades, it’s become customary for men to migrate during the dry season and find employment in construction or other low-skill labour in neighbouring countries, especially in the large cities of Nigeria, Libya or Algeria. This way, the fruits of the last harvest can be spared for the women and children staying behind, while men can feed themselves with the product of their labour abroad and perhaps even manage to send some money back home. In Zinder and in neighbouring Dakoro region, Caritas International Belgium, in close partnership with Caritas Niger (Caritas Développement Niger – CADEV), has been implementing food security programs since 2006, when the last major famine crisis hit the country. The latest 5-year program, established in 2017, focuses on empowering the local population with measures such as establishing agricultural cooperatives, creating and administrating cereal banks, provisioning alternative seeds and creating autonomous water sources. In Niger, up to a quarter of the population suffers from chronic food insecurity and malnutrition. Here families are often numerous – with an average of almost 7 children per woman – and water scarce, making it challenging to produce enough crops to feed everyone. The villages targeted by the program, around the towns of Zinder and Dakoro, are amongst the most vulnerable in the country. To accompany the colleagues of Caritas Belgium on this field visit was an insightful opportunity to observe and better understand how the Caritas network acts on vital issues such as improving access to food. It was also an occasion to discuss with Nigeriens in Zinder how migration is a ‘normal’ part of their lives. This is not the type of Europe-bound, long-term migration regularly portrayed in Western mainstream media. Rather, it is a seasonal strategy providing relief to, and generating alternative revenues for, families that do not intend to quit their villages permanently. This kind of migration is temporary at best, usually lasting no more than a few years. Indeed, the concept of circular migration stresses precisely the fact that migrants will always come back. As a survival strategy, circular migration can therefore mitigate hunger and suffering, although it may not solve them. Each year, I have to leave my village. I have seven children and nothing to feed them. On the way, the risk of being sexually assaulted is constant … [but I have to endure this] because of poverty and because we have no food. Otherwise, why would I put my life and my children’s at risk? Through discussions with the people of Zinder, other Caritas colleagues working on the ground and local researchers, we’ve sensed that the situation has recently worsened. While droughts have become more frequent, eroding the arable land available, families have continued to grow, their land parcels fractioned every time in smaller and less productive shares. For some households, the harvest now covers the needs of its members for no more than three months a year. Those new fragilities have also led to new forms of migration with a less clear positive outcome. Migration of women is nothing new. 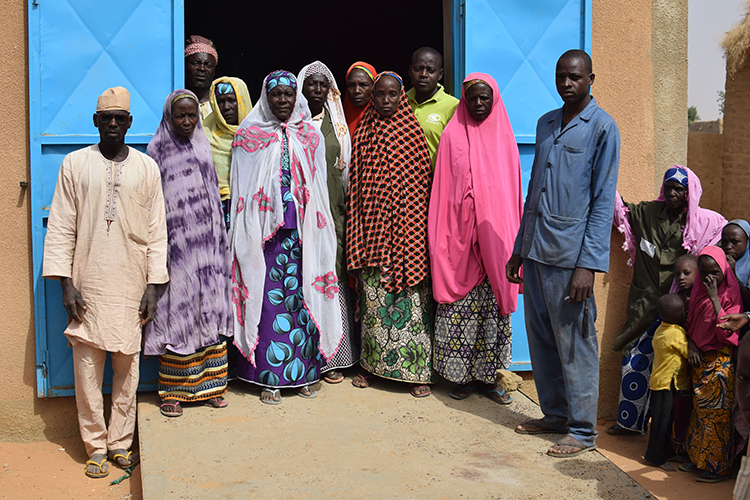 Since the late 1970s, following the lead of a handful of pioneers who found work as housemaids in the town of Arlit, in northern Niger, women have joined in on temporary migration projects of a few months. These women go as far north as Tamanrasset, southern Algeria. Success up north has been generally measured in terms of the clothes, bed covers, kitchen tools, dry food and money women have been able to bring back with them. I’ve got used to leaving my village. I travel on foot and rely on charity to make it through. With the money I collect I can then board a vehicle to continue my journey. Once arrived, I work as a cleaning lady. I do the laundry, the dishes. However, ever since the famine period of the early 2000s, migration of elder men and of women, often with very young children, has massively increased. Unable to work in low-skilled and physically demanding occupations reserved for young male bras valides (people fit for work), women seek domestic work but often end up begging or in prostitution rings. Begging becomes an occupation particularly during the Ramadan period, when the imperative of zakat (charity in Islamic tradition) makes Muslims more willing to give to the more vulnerable. 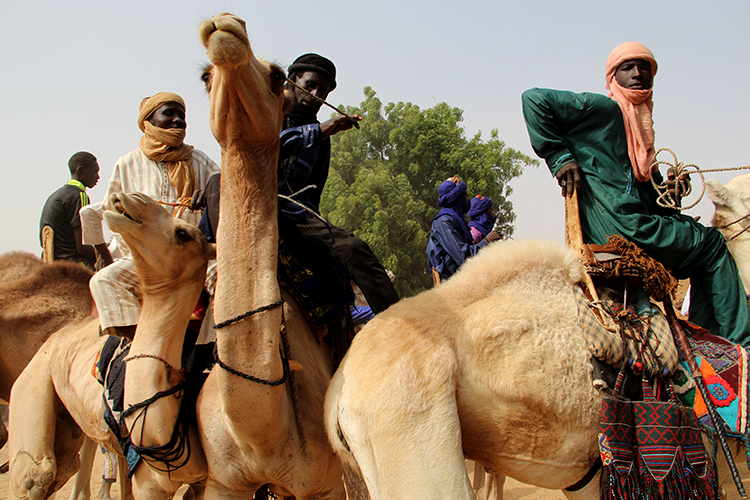 The Nigerien government, concerned by the impact of this practice on family stability, but also pushed to action by the resonance of horrific events – such as when 92 Nigeriens, most of them women and young children, perished in the Sahara desert on their way to Algeria in 2013 – has been trying to put a halt to this form of migration. Nevertheless, during our visit we met several young women that, undeterred, were making preparations for their journey. The end of regional mobility? I am used to going to Libya to earn money for my family. I take the route passing through Agadez and Arlit and then I cross the Sahara. It takes us four days. Some people die during the journey. We have to sneak into Libyan territory on foot because the borders are well-guarded. Once I am there, I work as a farmer, growing and picking up vegetables. The second time I tried to enter, [on my way to Libya via southern Algeria] Algerian soldiers caught me and sent me back. Now I prefer to stay here. An increasingly hostile environment and changing demographics are pushing more people to leave their villages. Yet, Nigeriens also find more and more obstacles along their journey. The constant threat of Boko Haram and other terrorist groups at Niger’s southern borders have made it much more difficult for people to regularly cross over to Nigeria. Libya, in spite of the political and social unrest, remains an attractive destination for Nigerien seasonal and temporary migrants. However, security, in particular for Sub-Saharan Africans, has deteriorated dramatically, and far fewer people are willing to risk their lives. Algeria, until very recently a country with a relative laissez-faire policy towards Nigeriens, has reportedly started cracking down on its neighbours residing and working in the country. 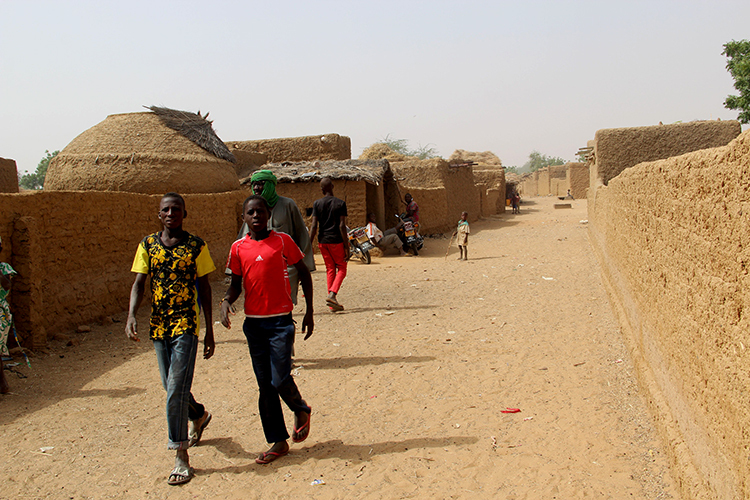 Stories of deportation involving physical abuse, withholding of pay and confiscation of possessions were quite frequent among the young (and less young) Nigerien men we met in villages around Zinder and Dakoro. This happens, in some cases, even after several years of peaceful residence in the country. In Libya, they respect and value Arabs more than black people. After you’ve worked hard and you’re expecting to be paid, they come and threaten you with a weapon. It was the end of the month, I asked for my salary and I was simply told I would not receive it. They started shooting around to frighten me. Contrary to European perceptions, more than 80 percent of African migration actually takes place within the continent. Such migration, in the right conditions, can be beneficial for individuals, communities and countries – something on which most countries, including members of the European Union, tend to agree. 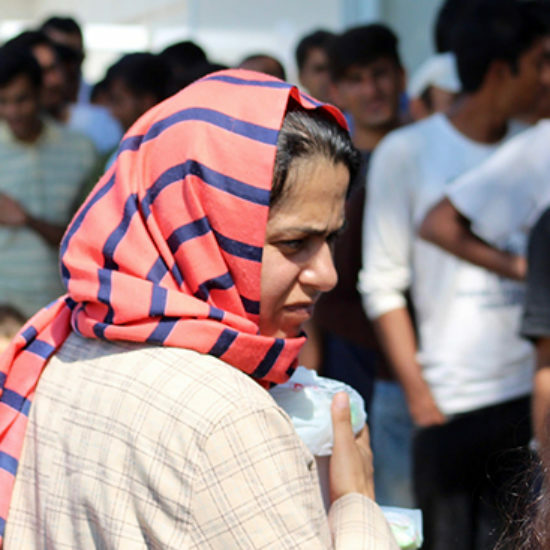 However, at a time when European institutions and member states seem to be much more interested in preventing the remaining 20 percent from reaching Europe, there is an increased high risk regional migrants will get tangled up in the same web of border controls and anti-smuggling laws that governments have set up to stop Europe-bound migrants. It’s become more difficult to go to Libya. We’re afraid of gangs, crooks and thieves. Before, it was possible to travel even with little resources and means. Today it’s more costly. We are often abandoned by cheating drivers who’ll have us believe that the vehicle broke down. They’ve also strengthened security at the Algerian border. That’s why we hide, completely wrapped and covered, in order to deceive the custom authorities. While it’s difficult to link the stories of deported Nigeriens we have met directly to EU external migration policy, others have already presented evidence of that, or at the very least questioned the good faith of the EU in promoting regional migration in policy venues. It is high time we renewed our efforts on facilitating a mechanism that has long been vital for individuals and communities, and whose importance, especially in light of the alarming evidence on climate change in the Sahel and elsewhere, is only likely to grow over the next years.